Bethesda has had to deal with some very unhappy fans lately, not only are many players upset with the state of Fallout 76, but those that shelled out for the Collector’s Edition are receiving items of lower quality than initially promised. Bethesda’s response to the situation hasn’t necessarily helped to calm things either. In the build up to Fallout 76, Bethesda announced a $200 ‘Power Armour’ edition, featuring a Vault-Tec power armour helmet, what appeared to be a quality canvas bag, a physical world map, a steelbook case with the game and a few other goodies. Those who ordered one of these are starting to receive them, only to find that the ‘canvas bag’ is actually a very cheap, low-quality nylon bag that looks like it should be used to line a bin. 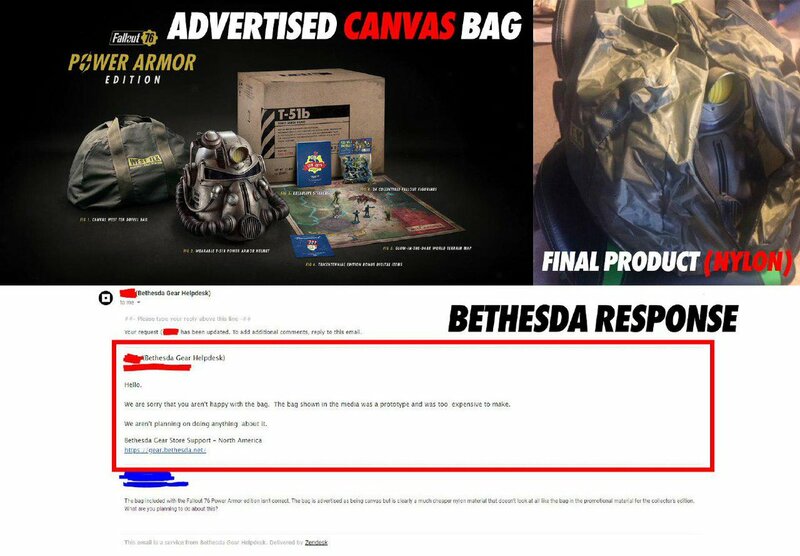 This is noticeably worse than the bag displayed on promotional images for the Power Armour edition, so fans began contacting Bethesda support to get answers. Unfortunately, Bethesda’s initial response only made things worse. One support team member tried to explain to a customer that the canvas bag was “too expensive” to produce, so a nylon bag was included instead. 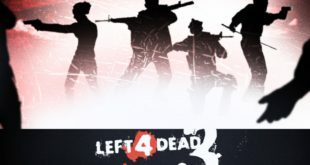 The bag shown in advertisements for the collector’s edition was “a prototype”. The initial response ended with a support team member stating that Bethesda has no plans to rectify the situation. This of course only made the situation worse. The default support response was then updated to something a little less aggravating, with support reps now saying that the bag had to be changed due to “unavailability of materials”. 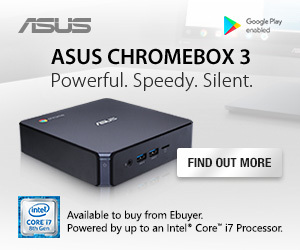 This still doesn’t completely rectify the situation, as those that spent $200 were still ultimately lied to. Bethesda Game Studios has now issued its own response to the controversy, offering owners of the Power Armour edition a complimentary Atom pack. If you can provide proof of purchase, you’ll get 500 atoms, which ironically, isn’t actually enough to buy an in-game canvas bag for your character, as those cost 700. KitGuru Says: The Fallout 76 launch has been rife with bad PR for Bethesda. In my opinion, this is probably the worst offense as the most invested fans were lied to and the apology offering doesn’t even come close to making up for the value lost.